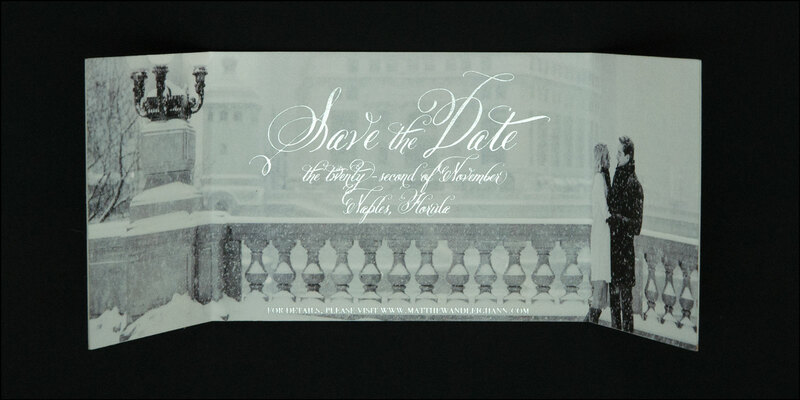 This is one of our favorite save the dates. 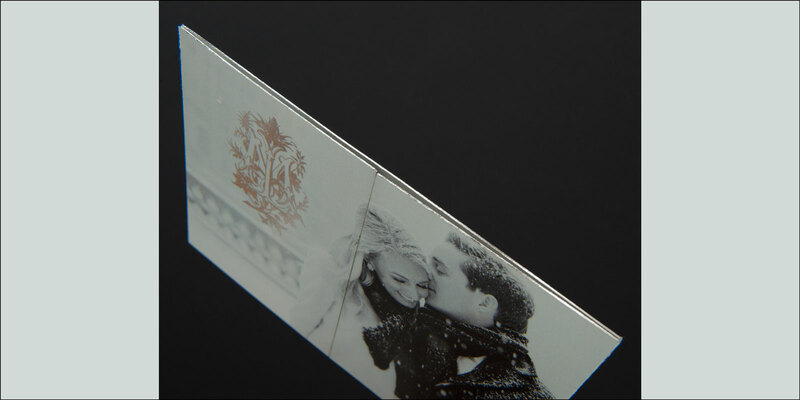 It is digitally printed and foil stamped in silver on front and back on 100% cotton card stock. They are extra thick and the edges are gilded in silver foil to match. 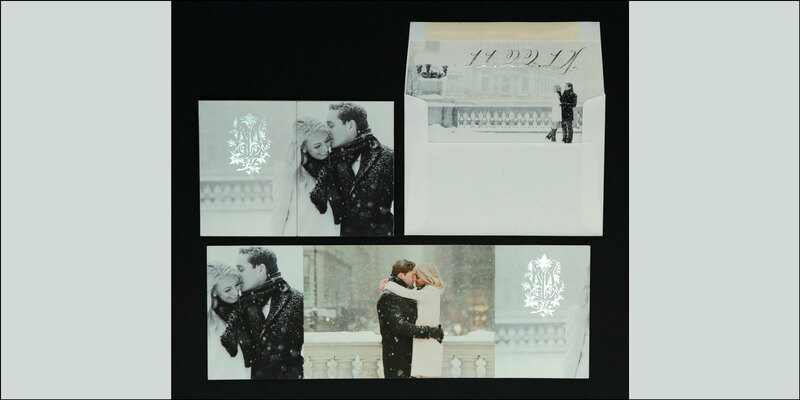 The 100% cotton envelopes are lined with a digitally printed and silver foil stamped liner as well. 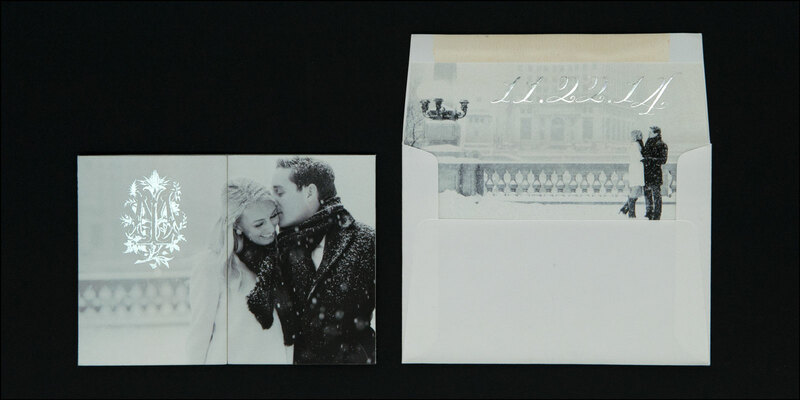 This Save the Date may be customized in nearly infinite ways to suit your needs. Colors, sizes, paper options, printing styles, finishing techniques and fonts are just some of the aspects of our invitation suites that you have control over. There are no limits to where your imagination can take you.